"Share Information All About Technology"
Flying Alarm Clock, Which Useful For Wake Your Sleeping. Gadgets this one is very unique, named "Flying Alarm Clock", and will make you have to wake up from sleep. Because alarm clock this equipped with disc an is not like other alarms clock, This gadgets uses the disk that allows to wake your sleeping. At the time the alarm sounds small disc contained in the alarm will be flying in all directions to wake the user, but you do not need to worry because the disk is not dangerous. Materials used disc made of plastic and deliberately in the design is not harmful to the users, so it safe for used. 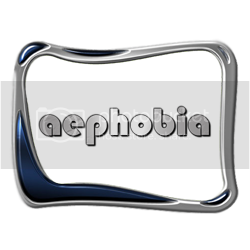 MobiTubia v1.85 build 1 Beta for Symbian Mobile Phones. MobiTubia is a video player with flv format file, this application can run video found on YouTube with real-time decoding for the phones S60 3rd Edition. In addition to providing convenience to YouTube client, this application also provides a video search feature found on YouTube. With a view that is very attractive and luxurious, this application will also provide convenience for its users. Developers: Sittipol Phanvilai ( NuuNeo ), Mobitubia. Tips Overcome Disappearance Message in your inbox and Log Telephone On Blackberry. Some Blackberry devices have a disease "Memory Leaks".But the more deeply it shows a situation, where users often lose important data suddenly. Especially Emails and messages from the inbox folder on the phone and call log data. The first thing you can do to solve this problem by checking the free memory on your Blackberry. Users can conduct in two ways, first by going to menu -> Options -> Status and the second by pressing ALT + SHIFT + H simultaneously. Users will see there is one indicator of free files that appear in set of Bytes, and be sure always leaving about 12 to 14 MB (14 million bytes) so that this problem does not happen again. Specifications Gadmei UTV302E Analog TV Tunner. Gadmei UTV302E very nicely designed with interesting color combinations. With dimensions of 105 x 65 x 20 mm, this gadget looks smaller than Advance TV Box. But some prominent placement of ports and are arranged neatly on one side, making this product very attractive to look at. Gadmei product provides 5 port and a USB port shape has also been applied including a mini USB port which is widely used. Also a mini USB port is also serves as an audio line. When used Gadmei UTV302E provides LED light that is in the infrared, so that we can know the device is connected or not. Gadmei UTV302E also provides remote control, similar to remote VCD or DVD player. Dimensions: 105 x 65 x 20 mm. TV System Input: VHF-UHF Antenna 75 Ohm (Antenna not supplied). Screen Resolution: Adjustment up to 720 x 576 resolution. Video Input: Composite (RCA) / S-Video PAL / NTSC. Video Output: Mixed with audio via USB 2.0 (Embedded by PC VGA Adapter Drivers). Audio Output: Jack audio 3.5 mm Mini Speaker. Remote Control: IR with 31 buttons. Power Supply: USB 2.0 power. Other features: the OSD, capture formats (MPEG 1/2/4), Bundle Vide Capture / Viewer Software, Time Shift Function. ..:: Link Me With Image ::..
..:: Link Me Only ::..
Techno | Blog Copyright © 2009 | Original Theme by Ipietoon | Sponsored by Online Business Journal | Powered by Blogger | Tweaked by !Rchymera!